Another project made purely for presenting my talent and to enhance my skills and move forward. 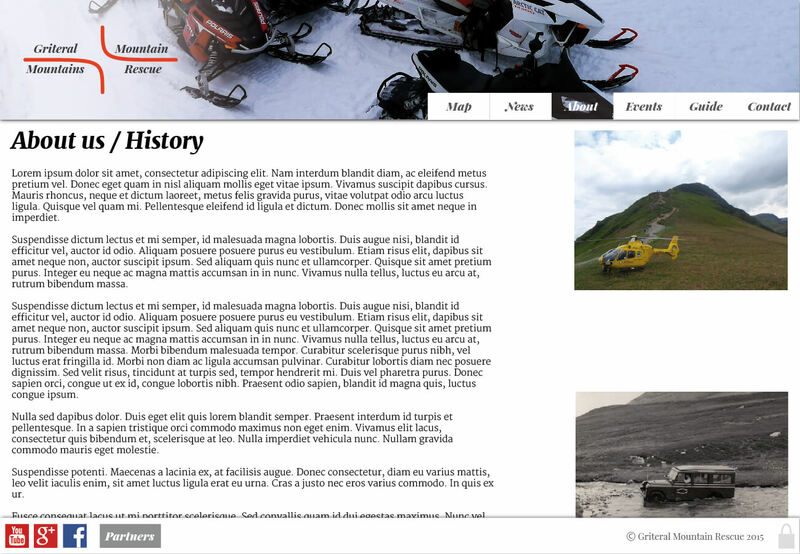 I have made a mockups for fully working website targeted for mountain rescue. – The navigation is easy and reliable, especially in case you are lost and need help. – There are two buttons that enable you both to get in contact with the rescue as soon as possible, and if you just need some tips or guidance, before that (getting lost) actually happens, there are tips / rules and basic stuff to know before you go into the moutnains. 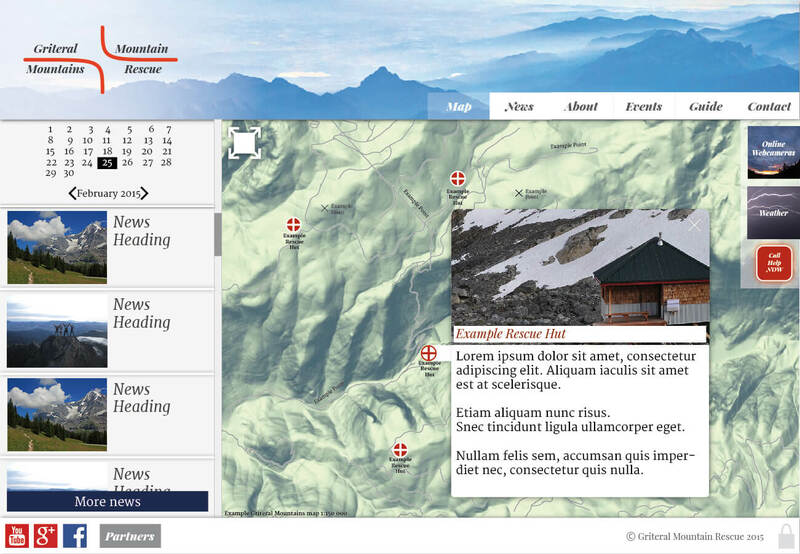 – Right in the index / home, you can immediately see latest news and also functional map of the mountains with clickable mountain rescue huts. – You can also find actual info about weather (+ archive and also forecast) and if you don’t believe any of it, you probably click on the live webcams. 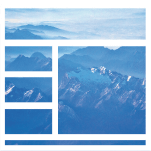 – The actual members of the mountain rescue got a little not very visible login button down right in the footer (members know where it is and customers don’t need it). In the login area there would be some info about plans and members and… whatever the MS might need there to be. 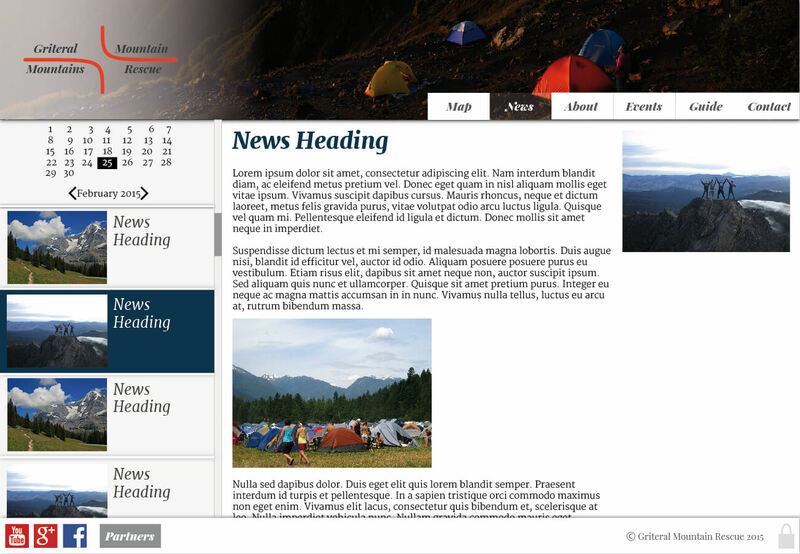 – The website is, of course, fully responsive. Would be useless otherwise to the lost ones on mobile. Timo Newton-Syms, Dave Conner, North West Air Ambulance, Karsten Seiferlin, Vincent, Oregon Department of Forestry, Vladimit Pustovit, U.S. Army John F.Kennedy Special Warfare Center, Moyan Brenn, Ruth Hartnup, Kuhnmi, T hino, Elsa, Bureau of Land Management, Tobiasvde, Damien Goodyear, Bruce McKay.